Formula 1 is the premier motorsport series in the world, and has been so since its inception in 1950. Achieving viewership figures in the hundreds of millions annually, it is passionately followed by car enthusiasts, and loved for its excitement, drama, and intensity. The “formula” in the name is derived from the fact that racing in the first half of the 20th century was notoriously unregulated — cars of all different sizes and performance would be competing against each other. In response, “the governing body of the sport at the time began imposing key limitations on the format of the cars in terms of power, weight, and size. Only cars complying with this “formula” of rules could compete” (dummies.com). Since then, the name has stuck. In the early years of the sport, there were many fatal crashes, caused by cars being pushed beyond their limit and suddenly breaking down at high speeds. Thanks to substantial safety improvements in the last two decades, Formula 1 is now much safer than it used to be, however its drama and spectacle endures. Even today, danger isn’t too far away, an unavoidable byproduct of drivers reaching average speeds of nearly 200 mph in the heat of battle. 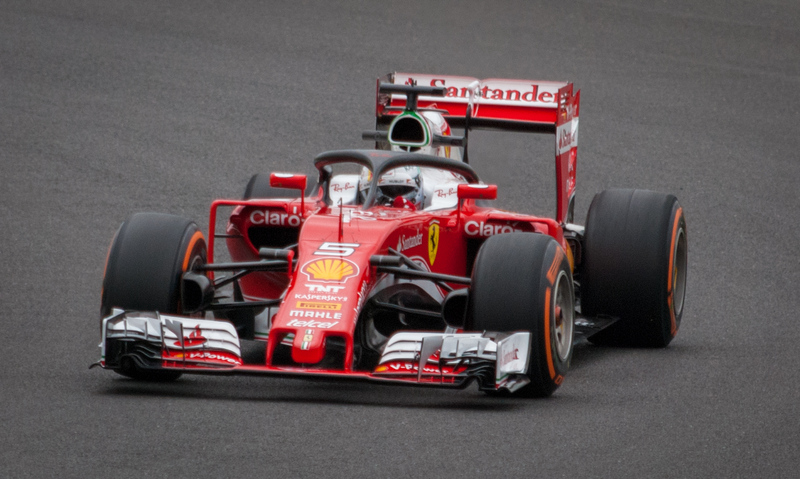 Although they have always been the fastest cars in the world, Formula 1 cars have changed tremendously since the sport’s inception. Today’s cars look nothing like those that participated in the series’ inaugural season held in 1950. Nowadays, drivers compete in single-seater race cars with wide slick tyres, large front and back wings, and extremely powerful engines. Formula 1 cars have always been supremely technologically advanced, built at the absolute forefront of car engineering and design practices. In fact, innovations in Formula 1 are often later passed down to the production processes of road cars, which gives road car manufacturers an incentive to fund and run their own F1 teams. Currently, there are ten teams in Formula One. Of these ten, five are car makers — Mercedes, Renault, Ferrari, Alfa Romeo, and McLaren, brand names that the average person probably knows. Many other famous car makers have competed in F1 in the past, including Honda, Toyota, BMW, and Lotus. An example of an F1 innovation that was passed down to road cars is the ability to change gear without the clutch by pressing paddles behind the steering wheel, known as paddle-shifters. According to lemans.org, the official website of one of the most famous endurance races in the world, Ferrari were the first F1 team to use paddle-shifters in their F1 cars, beginning testing in the late 1980s. They achieved their first win using the system in 1989, and were the first car manufacturer to introduce them into their production cars. The system was rolled out in the 1997 Ferrari 355, aptly dubbed “F1.” BMW and Alfa Romeo followed suit soon after. There are countless other enhancements that have trickled down from Formula 1. The number of teams participating in Formula 1 has fluctuated over time. In the 2000s, there were twelve teams for several years, but for the last few seasons there have been ten teams in the sport. Each team, or constructor, enters two cars and drivers. Thus, there are two championships that run separately over the course of the season: the drivers’ championship, and the constructors’ championship. Drivers and teams gain points at each race according to their finishing position. At the end of the season, the championships are awarded to the driver and team with the most points respectively. The current points system awards points to drivers who finish in the top ten of a race. The race winner gets 25 points, the runner-up receives eighteen points, third position nets fifteen points, and fourth place earns twelve points. Between places five and nine, each successive position earns two fewer points. The driver finishing tenth gets a mere point, and if the driver who set the fastest lap of the race finishes in the top ten, they earn an additional point. Historically, the number of races in a Formula One season has also changed significantly. In the first season in 1950, there were seven. In 1950, the races were held in England, Monaco, Indianapolis, Switzerland, Belgium, France, and Italy. The tracks that staged the races in England, Monaco, Belgium, and Italy have rarely been left out of the calendar since. Since 1950, the number of races per season has steadily increased. In 2019, there will be 21 races, spanning five continents — Europe, Asia, South America, North America, and Australia. Currently, there are no races held in Africa, but the continent has hosted events in the past. The Moroccan Grand Prix was a one-off race in 1958, whereas the South African Grand Prix has featured on the calendar on thirteen occasions. F1 enjoys a truly global reach, and its viewership figures are staggering. According to Formula One World Championship Limited, the official rights-holders to the sport, there were 490.2 million unique viewers in 2018. Some races are held at purpose-built race tracks in the countryside, whereas others are situated on street circuits in the heart of urban areas. The oldest track on the current calendar is the Autodromo Nazionale Monza, home of the Italian Grand Prix. There has been an F1 race there every season since the series’ inception, with the exception of 1980. Another famous race is the Monaco Grand Prix, staged at the Circuit de Monaco. This event is the most glamorous and prestigious event on the calendar, where some drivers even participate in fashion shows for prominent designers before the racing gets underway. A section of the circuit winds along the Monte Carlo harbor, which fills up with dozens upon dozens of luxury yachts every year during race weekend. A popular way for the rich and famous to take in the race is to attend parties on these yachts during the race, and watch from the top level. The current season began two weeks ago in Melbourne, Australia, and the second race of the season was held this past weekend in Bahrain. The first race was won by Valtteri Bottas of Mercedes, and the second race was won by Lewis Hamilton of Mercedes. Mercedes is the reigning constructors’ champion, and Hamilton is the current drivers’ champion, so these results do not seem to be very surprising. Certainly, it already looks like the Mercedes team has the strongest car in the field once again, and other drivers will be hard pressed to stop Bottas and Hamilton from extending the team’s dominance in recent years. However, if one were to examine proceedings a bit deeper, one would come upon the name of a potential challenger: Charles Leclerc. Leclerc drives for Ferrari, who also look to have a strong car this season, as they did last year. Last year, the Tifosi were Mercedes’ nearest competitors, but they ultimately fell short of the Silver Arrows. Time will tell whether the story is any different on this occasion. Leclerc, however, already seems to have demonstrated that he will be a force for years to come. Leclerc is only twenty one years old, and this is his first year driving for Ferrari. He has been in Ferrari’s Driver Academy, the team’s young driver development program, since 2016, but has previously only raced in Formula 1 for a single season, which was in 2018. From 2016 to 2018, Leclerc raced in single-seater series that act as feeder series to F1, and participated in some F1 testing as well. In 2016, Leclerc won the GP3 series, and in 2017 he won the FIA Formula 2 Championship, the series directly below F1. Thus, his pedigree was already clear even before he got behind the wheel of the Ferrari this season. However, Ferrari are one of the most successful F1 teams ever, and it was predicted that the pressure of driving for them would be a tough test for the young Leclerc. Yet so far, he has performed magnificently. He finished a respectable fifth in his first race for Ferrari in Australia. In Bahrain, Leclerc qualified in pole position, and led the majority of the race. If mechanical failure had not struck at the end of the race, he would have no doubt gone on to win. Nevertheless, Leclerc secured a great podium, finishing in third. He has outscored his esteemed teammate Sebastian Vettel in the season’s opening two rounds — and the latter is a four time F1 drivers’ champion! Even more impressive, the Monégasque was incredibly mature in the way he dealt with defeat in Bahrain. In Bahrain, Leclerc’s engine failure paved the way for five time drivers’ champion Lewis Hamilton to ease to a victory that had been out of reach for the majority of the race. Hamilton was effusive in his praise of Leclerc, and consoled the latter in the drivers’ lounge after the race had concluded. With his resilient attitude and maturity beyond his years, as well as an unbelievable amount of talent, there is no reason why Leclerc can’t become a Formula 1 great in the years to come. Don’t take it from a fan: take it from Lewis Hamilton, one of the most successful F1 drivers ever.